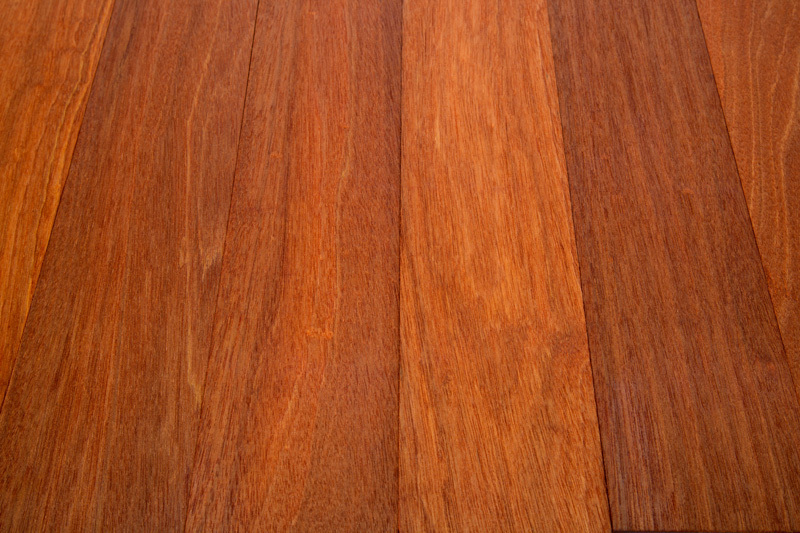 Nova is the leading importer of ExoDek Premium Batu Hardwood Decking, also known as Red Balau Hardwood. With over 30 years of experience in sourcing Batu Decking, our staff is here to assist in your search for the perfect combination of quality and value. Fine landscape architecture demands the highest quality materials. Professional builders and do-it-yourselfers alike enjoy working with ExoDek’s Premium Batu Hardwood Decking because of its high quality and remarkable consistency. ExoDek Premium Batu Hardwood Decking is the first choice for any job that requires a superior finish, natural durability and long lasting performance. ExoDek is a versatile, distinctive wood which lends elegance to any project. 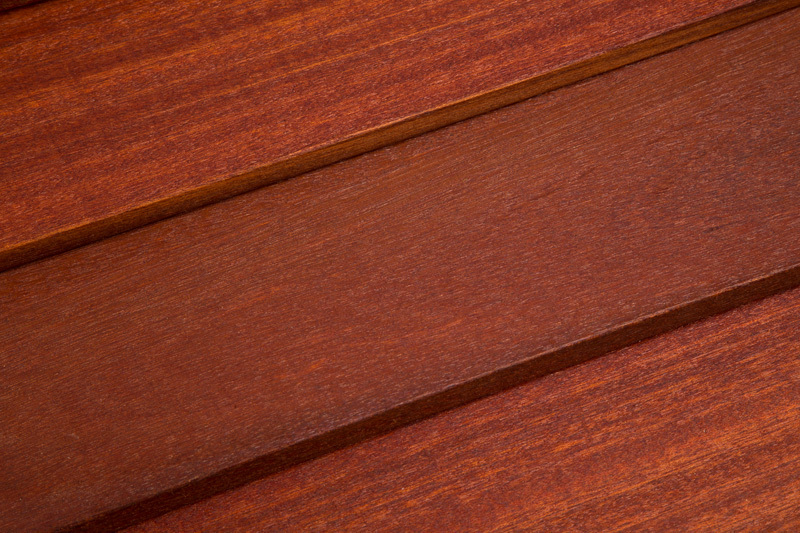 While many people are partial to the rich, classic look of a Mahogany deck, most don’t like the inconsistency or the maintenance hassles that accompany products like Cambara or Meranti. ExoDek Premium Batu Hardwood Decking product line is therefore ideal – providing customers long-lasting durability and visual appeal from their Batu Hardwood decks with minimal maintenance efforts. ExoDek Premium Batu Hardwood Decking has been rigorously tested by independent laboratories and the results meets all of the most popular fire rating criteria! Our fire rated ExoDek Premium Batu Hardwood Decking meets or exceeds: Section 709A, 2010 California Building Code, Chapter 7A; San Diego County Building Code, Section 26.3.6.2.1. United Laboratories of Canada, CAN/ULC-S102.2-10. 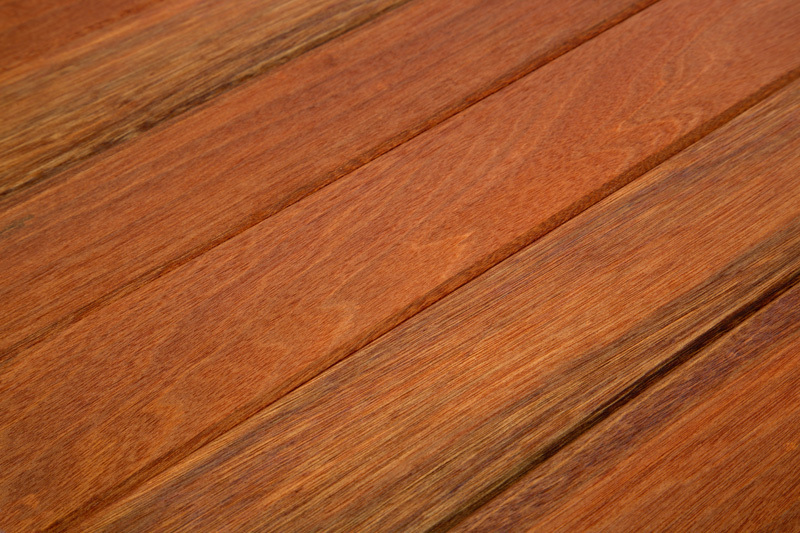 The Class A designation is not easily achieve for an exterior wood decking product. The results show that ourExoDek Premium Batu Hardwood Decking outperformed higher density woods such as Ipe and Cumaru in a head-to-head comparison of heat release, flame spread and smoke development classifications. Furthermore when compared to decking materials such as Pine, Cedar, Fir or Redwood, our ExoDek wood decking has a rating that exceeds such soft woods by as much a 5 times. ExoDek Premium Batu Hardwood Decking comes from tropical hardwood forests in Indonesia which are essentially public lands, managed and protected by the Government of Indonesia. Natural forest utilization in Indonesia was started in the 1970s as a national development program. Indonesia has designated all forest lands according to four classifications in order to ensure a sustainable balance between preservation and development. They have been named: production forests, conversion forests, protection forests, and conservation forests or national parks and wildlife refuges. About 113 million hectares have thus been set aside as permanent forests (for the production, protection and conservation groupings). Two forest certification systems are in use at present in Indonesia: the Indonesian ecolabelling system developed by LEI (Lembaga Ekolabel Indonesia); and the Forest Stewardship Council scheme. Although the LEI and FSC certification systems were originally developed quite separately, the two organizations have been working to bring them closer together over the past ten years. LEI and the FSC signed a Memorandum of Understanding in September 1999, and strengthened this working agreement with a Joint Certification Protocol on September 20, 2000. Nova and our affiliates have an ongoing commitment to the preservation and responsible utilization and management of our forest resources. 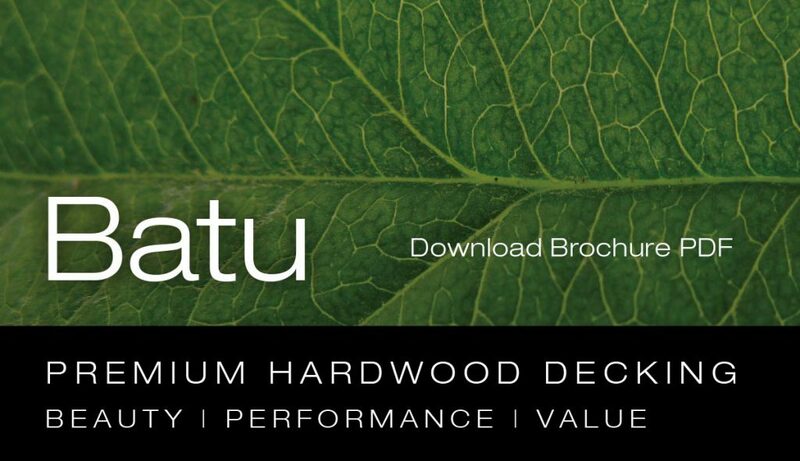 We strongly encourage all of our ExoDek Premium Batu Hardwood Decking suppliers to follow best industry practices in order to minimize damage to the environment and ensure long term sustainability. Every piece of lumber purchased or sold by us is in compliance with all local, national and international laws and regulations. ExoDek Premium Batu Hardwood Decking (Batu Hardwood also known as Red Selangan Batu, Red Balau, Membatu, Meranti Batu, Mangaris) is known for its hardness, beauty and natural durability. 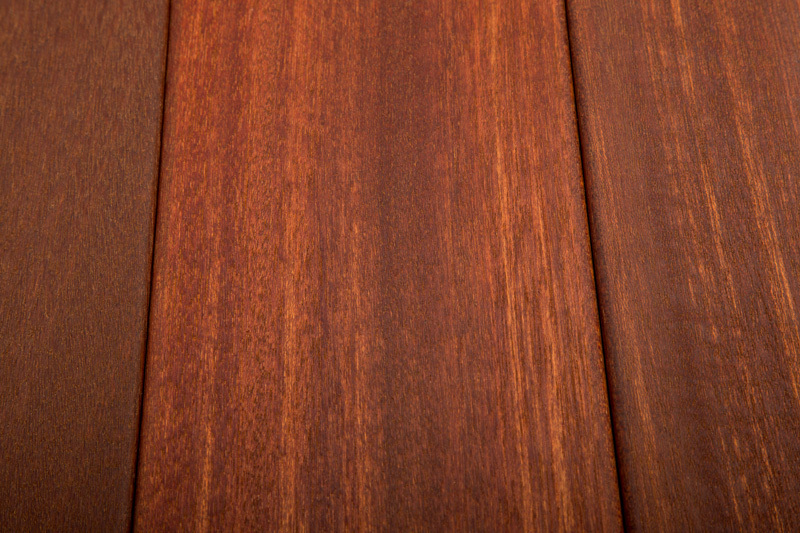 While there are more than 200 different species of Meranti / Philippine Mahogany found throughout Asia, ExoDek Premium Batu Hardwood Decking utilizes only a select few species found within the Shorea Genus. Adding to the product’s appeal is the fact that our ExoDek Premium Batu Hardwood Decking products are carefully graded in order to achieve a nearly blemish-free decking with excellent colour consistency plus superior strength and natural durability. Because we stake our reputation on the superior quality of our products we are confident that when your project is complete, no other material will provide you with the satisfaction and distinctive beauty of ExoDek Premium Batu Hardwood Decking.